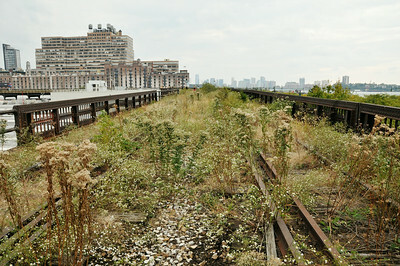 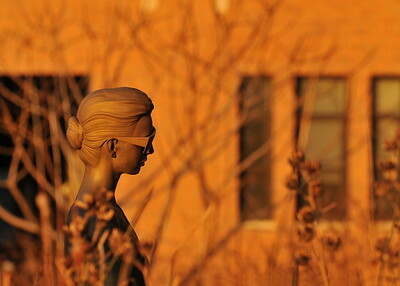 Carol Bove's sculpture "Prudence" sits along a curve of tracks in the Rail Yards at the High Line. 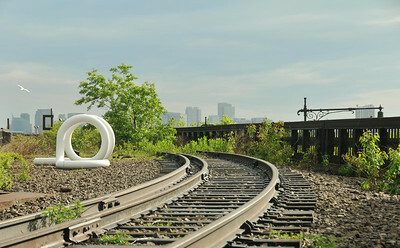 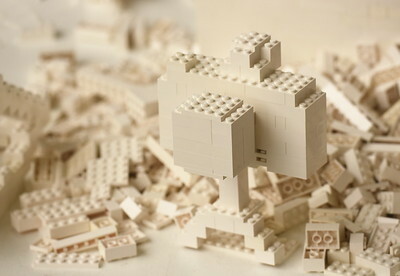 This sculpture was part of the "Caterpillar" exhibition put on by High Line Art. 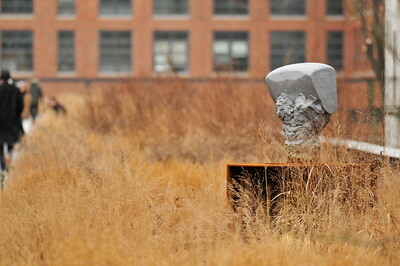 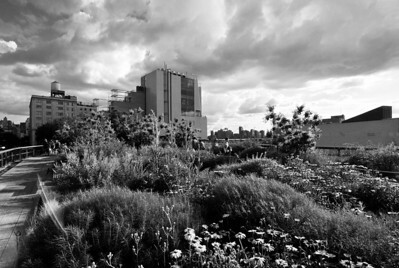 Carol Bove's sculpture "14" sits in the Rail Yards at the High Line, framed against the Jersey skyline. 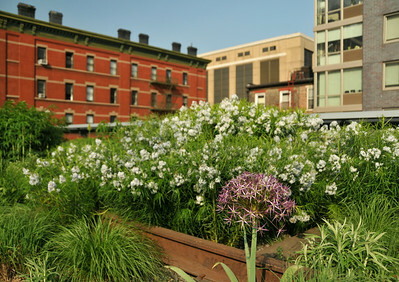 A purple Star-of-Persia blooms against a backdrop of threadleaf bluestar in the Wildflower Field at the High Line. 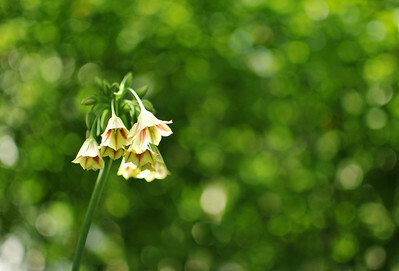 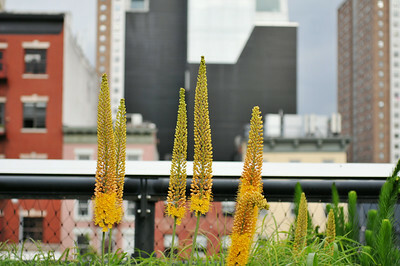 Golden foxtail lilies bloom against a backdrop of buildings along 10th avenue as the High Line runs through Chelsea. 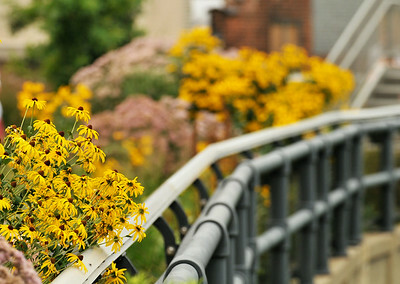 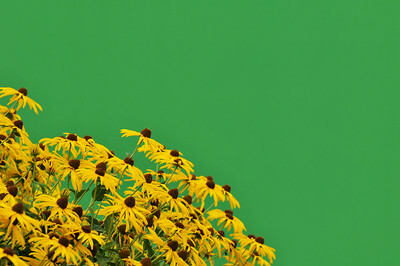 Black-eyed susans against a green backdrop at the High Line. 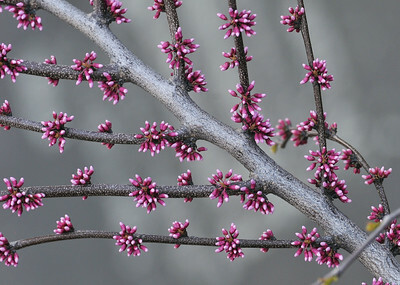 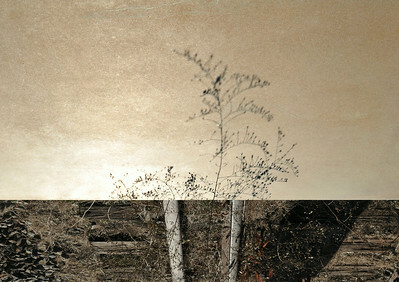 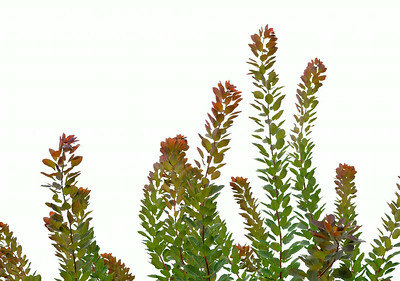 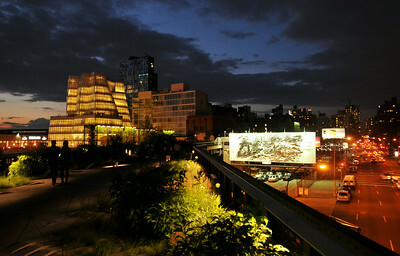 The background is actually the High Line Billboard "Women (065, 055)" by Elad Lassry. 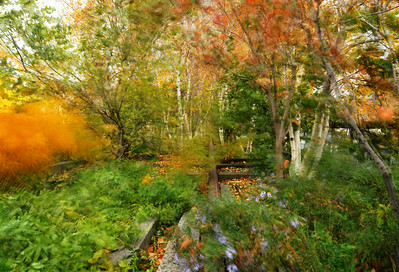 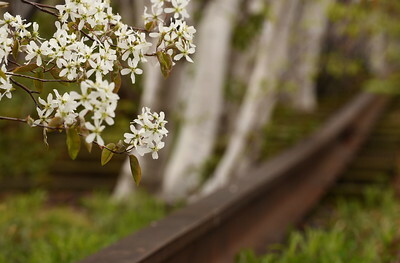 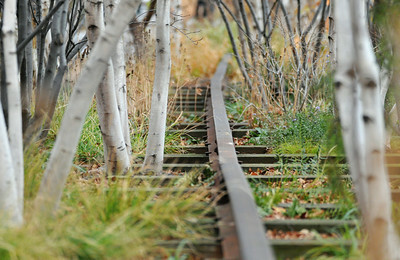 One of the original rails of the High Line runs through a stand of birch trees in the Gansevoort Woodland area at the south of the park. 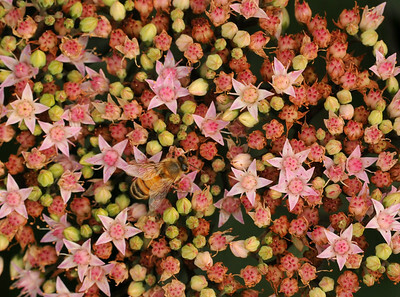 A honeybee searches for a meal among the flowers of a stonecrop blooming at the High Line. 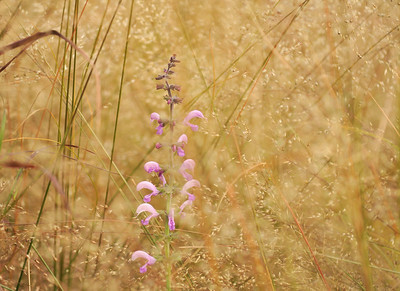 A lone spike of pink meadow sage (Salvia pratensis 'Pink Delight') hides among the grasses at the High Line. 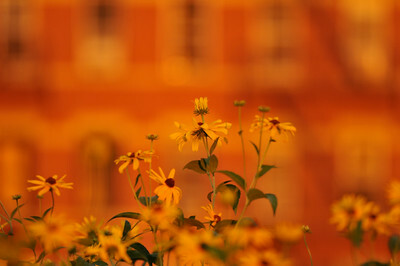 Black-eyed susans catch the last of the light after Honey Day at the High Line. 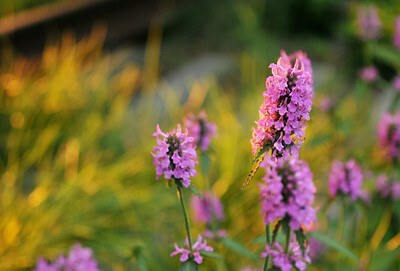 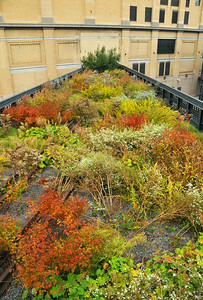 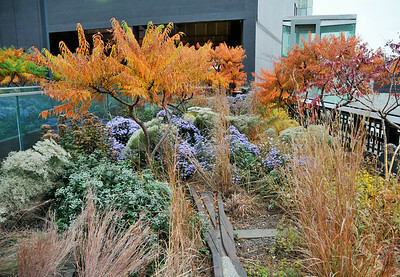 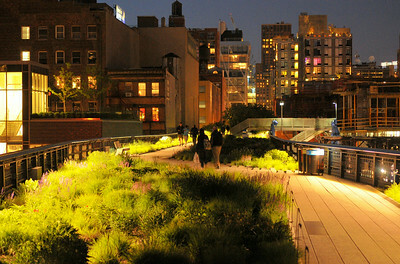 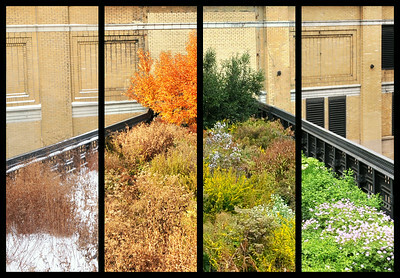 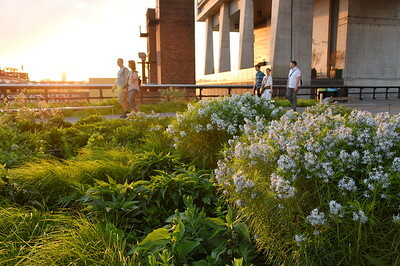 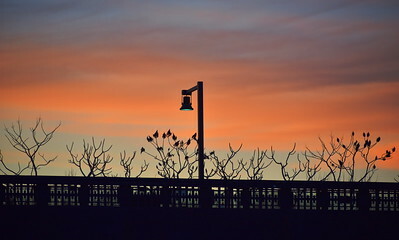 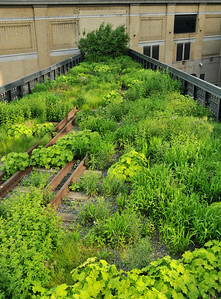 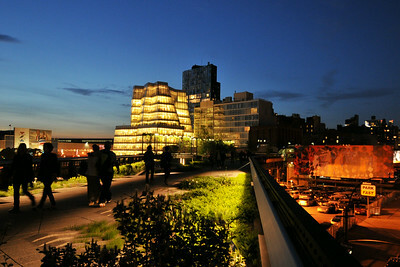 A view of the High Line at twilight, when all of the colors come out to play. 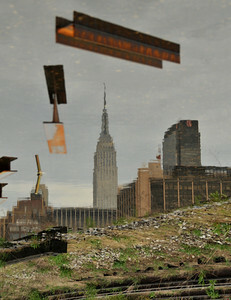 The Empire State Building appears in this reflection in the Rail Yards at the High Line. 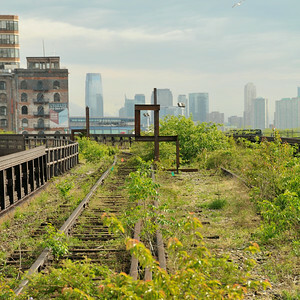 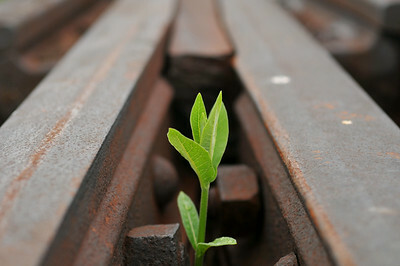 This little milkweed plant is growing at a rail junction in the Rail Yards at the High Line. 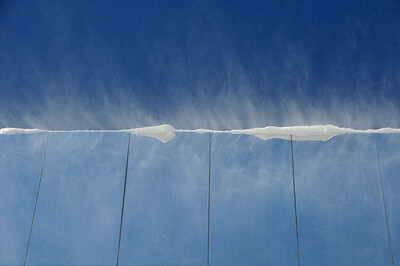 Snow blows off the top of El Anatsui's "Broken Bridge II" at the High Line. 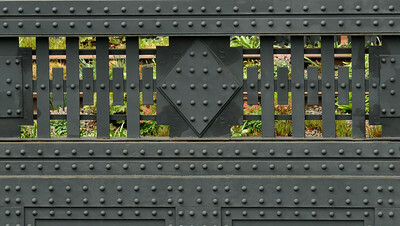 This Art Deco motif borders most of the High Line. 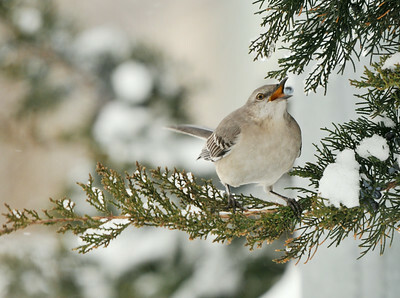 A northern mockingbird (Mimus polyglottos) pops a juniper berry into its mouth on a snowy day at the High Line. 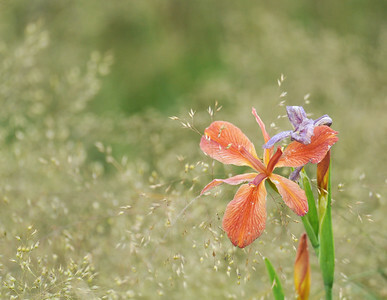 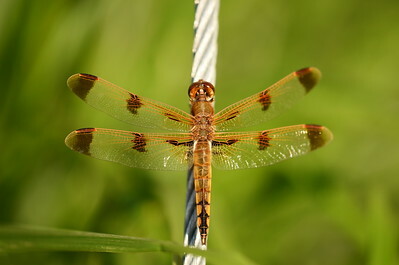 A copper iris (Iris fulva) blooms among the grasses at the High Line.